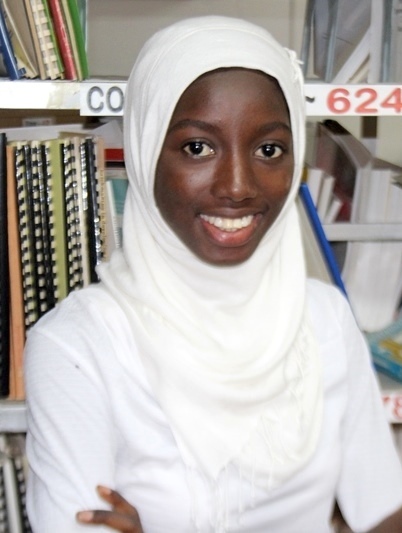 I am Salimatou Fatty, a proudly Gambian volunteer for young people. I am very enthusiastic about issues concerning the girl-child, youths, children and women. 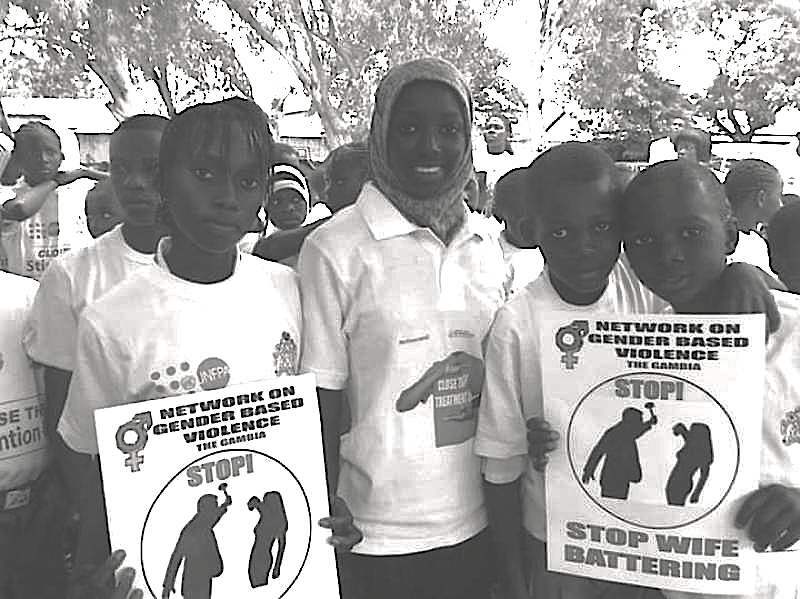 I have been actively advocating for children rights to an education and for the end to all forms of violence against women and children in my country. 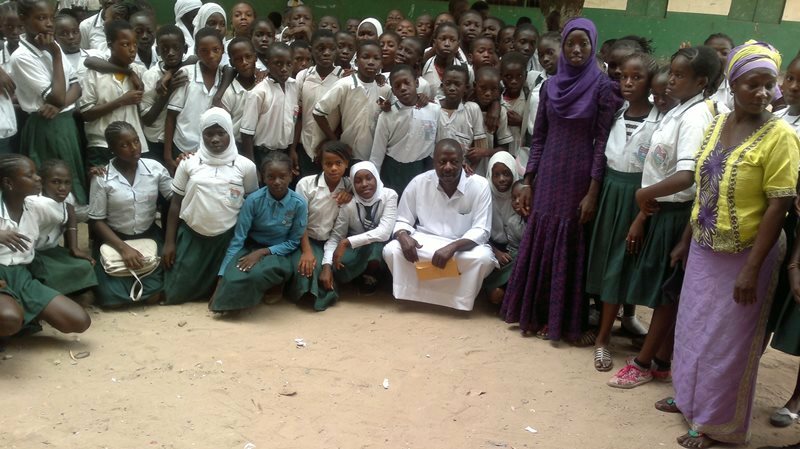 On the 1st June 2014, I was appointed Global Youth Ambassador of “A World At School” (AWAS) for The Gambia. AWAS is an international organization launched on 1April 2013 by Ban Ki Moon, the current Secretary General of United Nations. It aims to see child going to school and learn, regardless of origin. With the determination and focus I put in achieving this aim in my country and the world at large, I was re-appointed in May 2015, to work harder in achieving SDG4 in The Gambia. 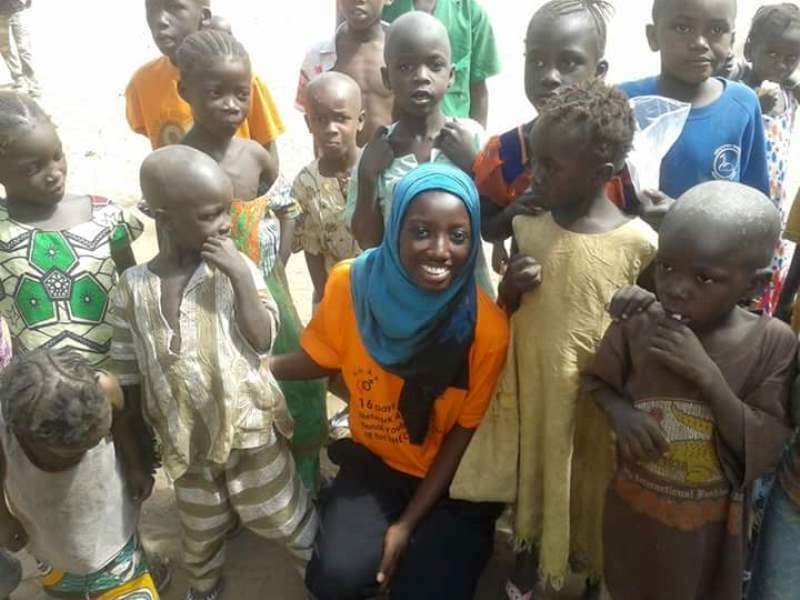 My role as a Global Youth Ambassador is on volunteering bases. It gives me the opportunity to build on my skills and make my voice heard globally. I interact with other youth leaders across the world to expand my network. I love being a volunteer as it makes me a better person with respect and dignity. People are honoring me in my community. Voluntarism enhances my capacity in helping the less privileged and contributing to the development of my country. In abstract, I consider volunteerism is the act or practice of doing volunteer work in community services. It is not only the backbone of civil society organizations and social and political movements but also of many health, education, housing and environmental programmes. A range of other civil society, public and private sector activities worldwide need volunteerism for sustainable trick-down effects. It is an integral part of every society. In many countries, volunteerism is deeply rooted in traditional beliefs and community practices. In Norway for instance, the term “DUGNAD” describes collective volunteering; a traditional scheme of cooperation within social groups such as families, neighborhoods, communities, professional sectors or nations. In the Muslim and Arab world, volunteerism is considered as a religious duty and charitable work. I paraphrased Nelson Mandela who said that a traveler through a country would stop at a village and he does not have to ask for food or for water. Once he stops, the people give him food and entertain him. That is another aspect of volunteerism. More comprehensive and comparative studies of volunteerism worldwide needs to be encouraged. Most developed countries have their respective national studies. Initial effort of mapping volunteerism, largely supported by United Nation Volunteers (UNV), have been made in a limited number of developing countries. A lot of great people in the world have a passion for volunteerism in order to promote peace and development and were honored for their efforts in raising the flag of volunteerism higher. For example, on 15 July 2013 Barack Obama, the current President of United State of America (USA) honored George H.W.Bush the former president of the same country for promoting volunteerism over two decades. On 26 November 2013, a group of volunteers were honored for helping senior citizens in attaining their goals. On 3 May 1985 Dorothy Carus, a board member of Emeritus, was a community volunteer who helped found several arts and service organizations in the Illinois Valley Area (USA) before and during the Second World War. She was a prominent Suffragette in Chicago and New York. February 7, 2013, four Buffalo Grove High School Seniors were honored with an award for undertaking more than 100 hours for their time on voluntary services and many others which are not mentioned. One of the better known benefits of volunteering is the impact on the community. Unpaid volunteers are often the glue that holds a community together. Volunteerism allows one to connect with his or her community while working to make it a better place for living. Even helping out with the smallest task can make a huge difference to the lives of people, animals and organizations in need. Dedicating your time as a volunteer helps you to make new friends, expand your network and boost your social skills. Through volunteerism you can get experience in your area of interest and meet interesting people in the field. Even if you are planning on changing a career, volunteering give you the opportunity to practice important transferable skills used in the workplace such as teamwork, communication, problem solving, project planning, task management, organization and lot more. You might feel more comfortable stretching your wings at work once you have horned these skills in a volunteer position first. Volunteering is a way of exploring your interest and passion with fun and ease. By doing volunteer work, you find meaningful and interesting things that can be energizing escapes from your daily routine at work, school or family network. Volunteering also provides you with renewed creativity, motivation and vision that can add value to your personal and professional life. Furthermore, volunteering can boost your self-confidence, self-esteem and life satisfaction. You are doing well for others and the community, which provides a natural sense of accomplishment. Your role as a volunteer can also give you a sense of pride and identity. And the better you feel about yourself the more likely you are to have a positive view of your life and future goals. In conclusion, I want to bring attention to everyone that they are volunteers in way or the other even though some people think they are not volunteers and never wish to be one as it is time consuming, Everyone is a volunteer. I am urging everyone to keep up the volunteer work strongly and never give up. It is through volunteerism we can change the world for a better place. The world could have been free from all kind of violence, accommodate, peace and tranquility along with development if everyone can take the passion of being a volunteer to make change and be ready to render our services to each other in all aspects of life. Long life volunteerism!